To mark the end of Summer I wanted to share a gorgeous summery yellow nail color that I've been in love with lately. It's another polish from the XL Nail Gel line (which I previously talked about here) and I was hoping it would be a great, happy color while being as long-lasting as my previous experience with the line. Let's check it out below! 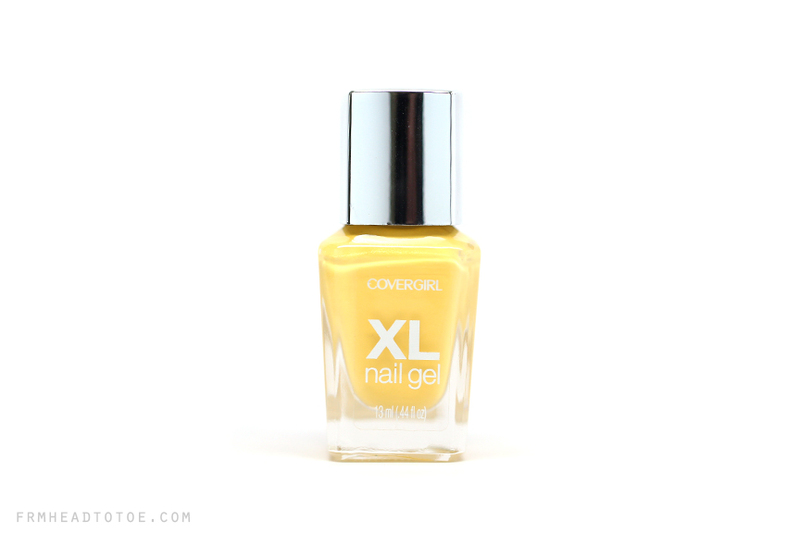 Yellow polish has notoriety for being a difficult formula but Covergirl's Haughty Lemon is one of the best I've tried. Oftentimes flat creams will end up goopy and streaky, but there is a subtle satin shimmer to this that you can see in the bottle but not on the nails. This seems to give the polish grip without sacrificing the solid finish. Here I used a base of OPI Nail Envy, 3 coats of Covergirl Haughty Lemon, and topped it with Seche Vite Top Coat. The result was a nice, solid yellow that was just as long-lasting as Plumped-Up Plum. 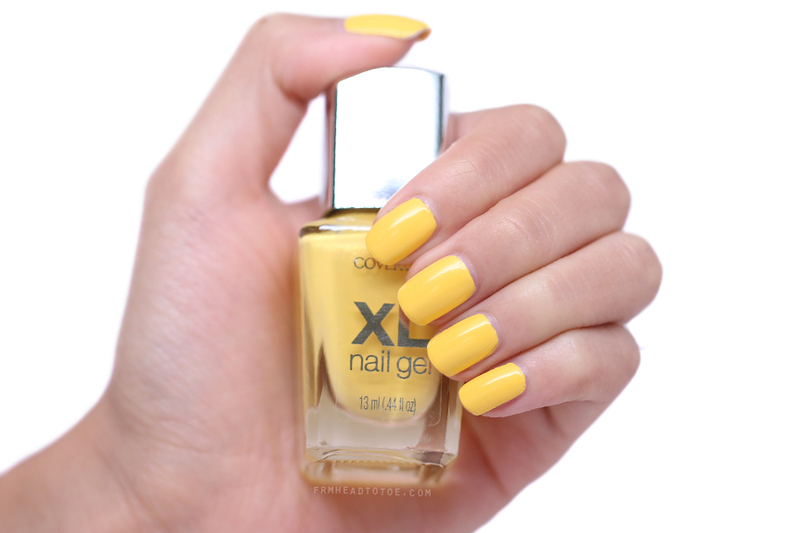 Yellow is one of those colors I used to always be afraid of because I have strong yellow undertones in my skin but it's surprisingly a very flattering color on the nails and it works as a great pop of color on top of almost anything. Paired with navy blue or white, it gets a nautical edge. With green it gets a cheery outdoor vibe. For being so bright it's actually very easy to pull off and this is one of the best I've tried. Definitely a high recommendation. Readers, have you tried yellow polish? Are there any colors you tend to be afraid to try? Let me know in the comments! What a fantastic color for summer! I still need to try this line out! I loved the purple one as well as this one! I feel like they'd pair really nicely together. I've tried yellow before from Sally Hansen's Xtreme wear line, but in the end it got kind of muddy/dirty on me after a few days of wear. I like how this one isn't too bright but not too pale/pastel either. I wore this polish for a really long time and didn't have any troubles with it changing colors or getting dirty! You should definitely try this line. I have a feeling I'm going to be trying out WAY more since I've been impressed with the quality! How long did they last? Can you review the new Sally gel formula as well? I'll pick up a couple of the new Sally polishes next time I'm out! :) Mine lasted a week with only one tiny chip (my nails were pretty weak after pulling around luggage to NYC) so it wore extremely well. I would've removed the color just because my nail growth was getting obvious, plus yellow doesn't make chips very apparent to begin with. Oooh! I bet that'd be such a cute nail art idea! i love this colour is perfect and great for summer !